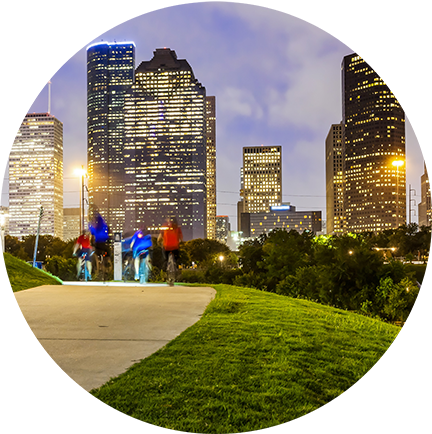 Influence Relocation Services, in partnership with Keller Williams Metropolitan, invites you to enjoy a sneak peek into some of Houston's finest features. We’ve got an insider’s perspective on all Houston has to offer and we love where we live. Houston is an amazing place to work, live and play. It offers outstating professional sporting events, world-class arts and countless recreational activities. Due to the prosperous economy and the lead in the health care sector, Houston is home to the second most Fortune 500 companies in the U.S. 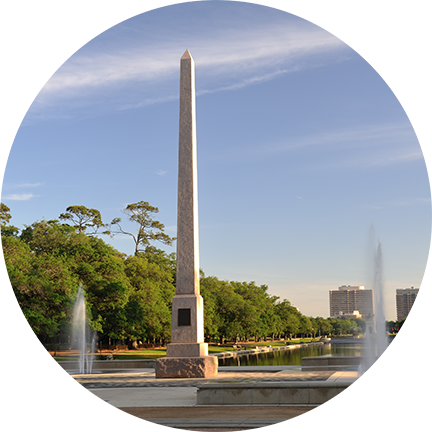 There is nothing quite like Houston with the award-winning cuisine, outdoor lifestyle and the overall rich culture. Residents enjoy many annual events such as the Houston Livestock Show and Rodeo, the Houston Greek Festival, and the Houston Auto Show. Houston houses professional sports teams in just about every league and is one of the few cities with professional resident companies in all major performing arts. Locals enjoy the outdoors with the wide array of choices when it comes to parks and green spaces with a total of 56,405 acres and 337 parks. You can learn more about the best Houston has to offer in our exclusive Influence Relocation Services Insider’s Guide. Our settling-in services concierge can also help you get access to community information, entertainment options and local resources. Whether you’re moving across town or across the country, our exceptional real estate agents are here to help.